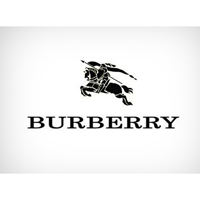 The trading price for Burberry Group plc found using EPIC: LON:BRBY has risen 1.72% or 29.5 points during the course of today’s session so far. Market buyers seem confident during this period. Range high for the period so far is 1744.5 and a low of 1701.5. The volume total for shares traded up to this point was 250,520 with the daily average traded share volume around 2,247,390. A 52 week high for the stock is 2338 which is 627.5 points in difference on the previous days close and a 52 week low being 1481.5 which is a variance of 229 points. Burberry Group plc now has a 20 SMA of 1807.85 and also a 50 day simple moving average now of 1803.97. The current market cap is £7,157.91m at the time of this report. All share prices mentioned for this stock are traded in GBX. Mcap is measured in GBP. This article was written with the last trade for Burberry Group plc being recorded at Tuesday, December 18, 2018 at 12:05:12 PM GMT with the stock price trading at 1740 GBX. Stock in Bunzl plc with ticker code: LON:BNZL has increased 1.05% or 25 points during today’s session so far. Traders have so far held a positive outlook while the stock has been in play. Range high for the period has seen 2419 dipping to 2378. The total volume traded so far comes to 185,961 while the average shares exchanged is 1,010,341. The stock 52 week high is 2544 which comes in at 156 points in difference on the previous days close and a 52 week low being 1918.5 which is a difference of 469.5 points. Bunzl plc now has a 20 SMA at 2401.25 and a 50 day moving average now at 2325.98. The market capitalisation is now £8,117.59m at the time of this report. The share price is in GBX. Mcap is measured in GBP. This article was written with the last trade for Bunzl plc being recorded at Tuesday, December 18, 2018 at 12:05:08 PM GMT with the stock price trading at 2413 GBX. The share price for Whitbread plc ticker lookup code: LON:WTB has climbed 1.01% or 45 points in today’s trading session so far. Market buyers have stayed positive during the session. The periods high has already touched 4496 dipping to 4442.26. The total volume of shares exchanged through this period comes to 70,221 with the daily average number around 697,690. The 52 week high is 4800 equating to 349 points different to the previous business close and a 52 week low sitting at 3606 making a difference of 845 points. Whitbread plc now has a 20 SMA at 4620.45 and a 50 day simple moving average now at 4594.46. The current market cap is £8,256.33m at the time of this report. The share price is in GBX. Mcap is measured in GBP. This article was written with the last trade for Whitbread plc being recorded at Tuesday, December 18, 2018 at 12:04:47 PM GMT with the stock price trading at 4496 GBX. The share price for International Consolidated Airlns Grp SA EPIC code: LON:IAG has gained 1.59% or 9.48 points during the course of today’s session so far. Traders have stayed positive throughout the trading session. Range high for the period so far is 609.6 while the low for the session was 595.2. The amount of shares exchanged has so far reached 2,166,546 with the daily average number around 7,699,960. The 52 week high price for the shares is 727 equating to 129.6 points difference from the previous close and the 52 week low at 547 a difference of some 50.4 points. International Consolidated Airlns Grp SA has a 20 day moving average of 632.12 and now its 50 day MA at 621.12. This puts the market cap at £12,036.32m at the time of this report. The share price is in Great British pence. Mcap is measured in GBP. This article was written with the last trade for International Consolidated Airlns Grp SA being recorded at Tuesday, December 18, 2018 at 12:05:09 PM GMT with the stock price trading at 606.88 GBX. 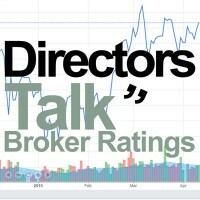 The stock price for Intertek Group plc found using EPIC: LON:ITRK has moved up 1.11% or 51 points during the course of today’s session so far. Traders have remained positive throughout the session. The periods high has already touched 4673 and a low of 4592. The number of shares traded by this point in time totalled 123,259 with the daily average number around 501,744. The 52 week high for the share price is 6084 amounting to 1482 points in difference to the previous days close of business and a 52 week low sitting at 4323 making a difference of 279 points. Intertek Group plc has a 20 SMA of 4725.25 and also a 50 day moving average now at 4652.94. Market capitalisation is now £7,511.24m at the time of this report. The currency for this stock is Great British pence.Market cap is measured in GBP. This article was written with the last trade for Intertek Group plc being recorded at Tuesday, December 18, 2018 at 12:05:08 PM GMT with the stock price trading at 4653 GBX. Stock in J Sainsbury plc with ticker code: LON:SBRY has risen 1.02% or 2.7 points during today’s session so far. Traders have stayed positive while the stock has been in play. The period high was 267 and a low of 262.5. Volume total for shares traded during this period was 2,491,685 with the daily average traded share volume around 10,282,962. The 52 week high for the shares is 341.8 some 77.5 points in difference to the previous days close of business and a 52 week low sitting at 224.7 is a variance of 39.6 points. J Sainsbury plc now has a 20 simple moving average of 305.5 and now the 50 day simple moving average now at 310.24. This puts the market cap at £5,878.53m at the time of this report. The currency for this stock is Great British pence.Market cap is measured in GBP. This article was written with the last trade for J Sainsbury plc being recorded at Tuesday, December 18, 2018 at 12:03:49 PM GMT with the stock price trading at 267 GBX. Click BNZL BRBY IAG ITRK SBRY WTB for the full archive.